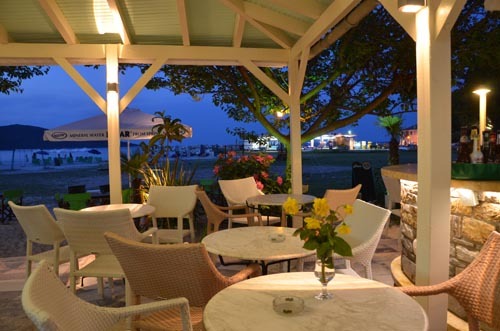 Café-Bistro Thomai is in the forefront of coastal road since 1981. 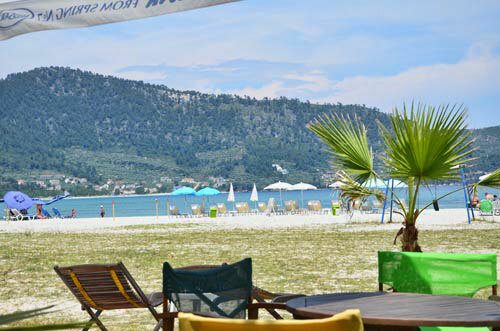 Literally on the beach and next to the picturesque port of Skala Potamias- Thassos with the beautiful Arsanas which operates as a folklore museum. 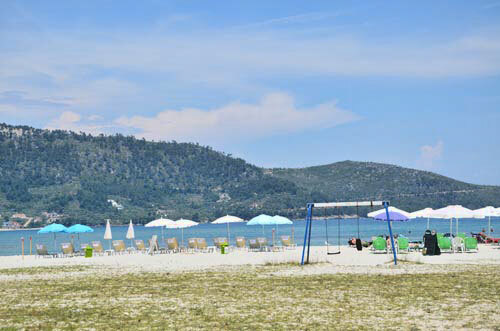 Close to amusement parks, playground and large parking space. 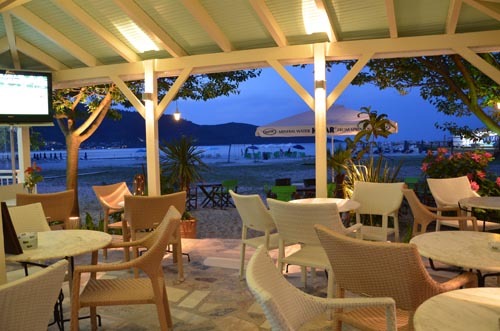 Café-Bistro Thomai is open from early in the morning, offering breakfast, delicious omelets, eggs, toast, pan cakes (sweet and salty), coffee (all types), juices, milkshakes, etc. 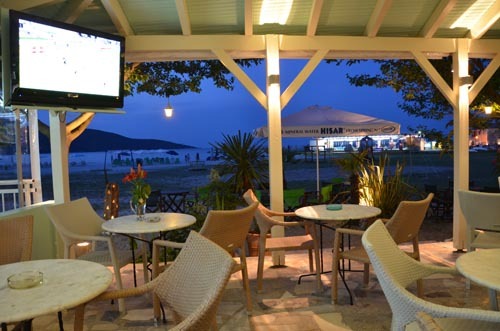 During all day we serve homemade salads, pastas and pizzas made with care by the chef and delicious traditional donuts. 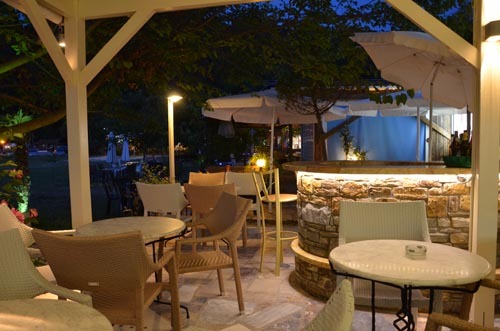 We have perhaps the best ice cream in Thassos of all flavors, from fresh milk. 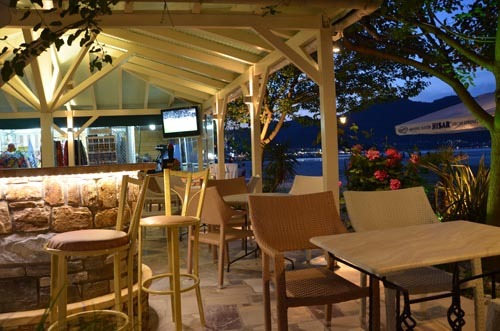 As for those who love beers we offer a big selection of drafts as Cider, Guinness, Mythos, Vergina, and large bottles of 500ml as Warsteiner, Weihenstephan, Erdiger, Amstel, Heineken, Kaiser, Boddingtos, John Smith's, Crolsch, Chimay Coke. 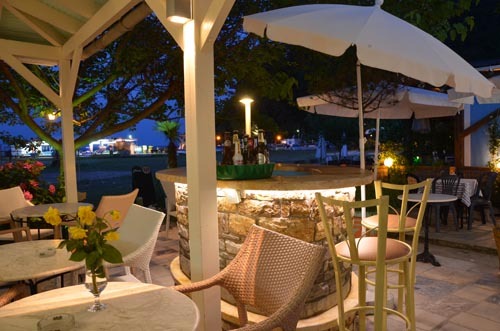 We provide delicious Cocktails with or without alcohol. 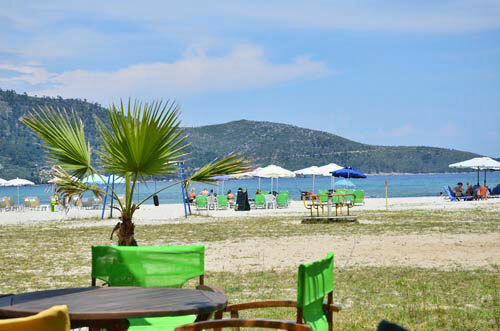 We have also available sun beds and umbrellas by the beach all day, accompanying them with coffee or beverage of your choice! 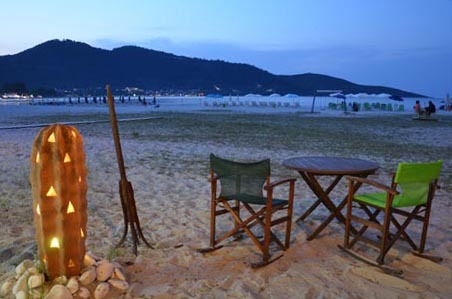 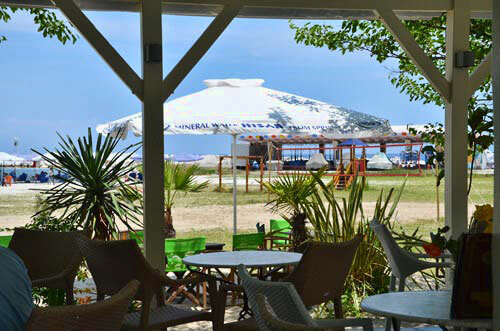 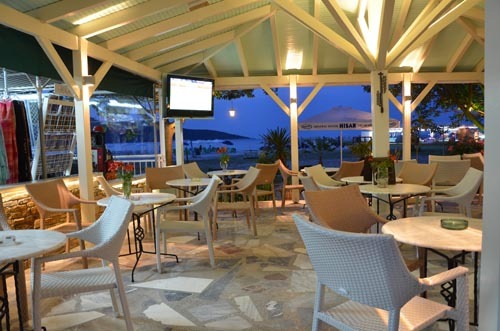 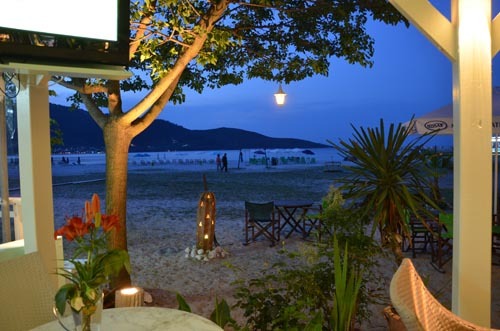 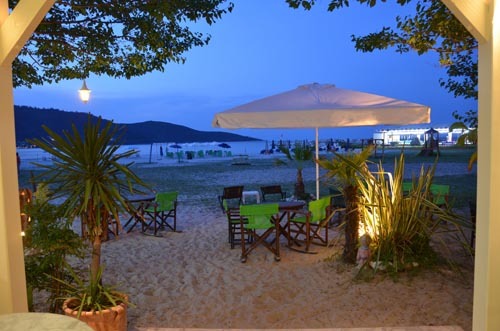 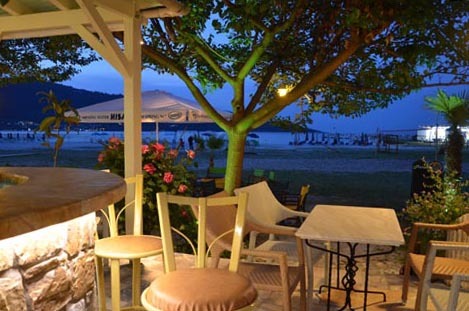 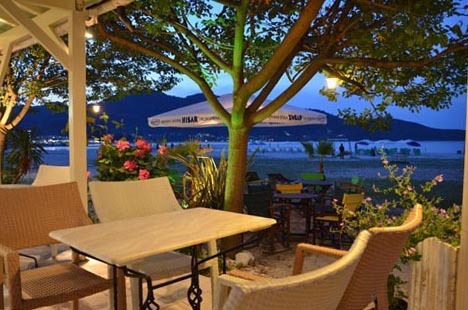 For unforgettable moments of relaxation at reasonable prices Cafe-bistro THOMAI in Thassos is your best choice!